Ample center height allows for placement of computer monitor. Reduce desktop clutter with this space-optimizing organizer hutch. High-quality laminate is ideal for heavy use; resists dents and scratches and is easy to clean. 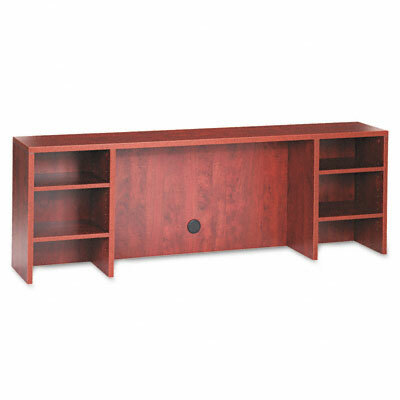 Sits on credenza or corner credenza shell to create an efficient open storage area featuring adjustable side shelves and space for your computer monitor in the center. Wire grommet offers convenient cable management.